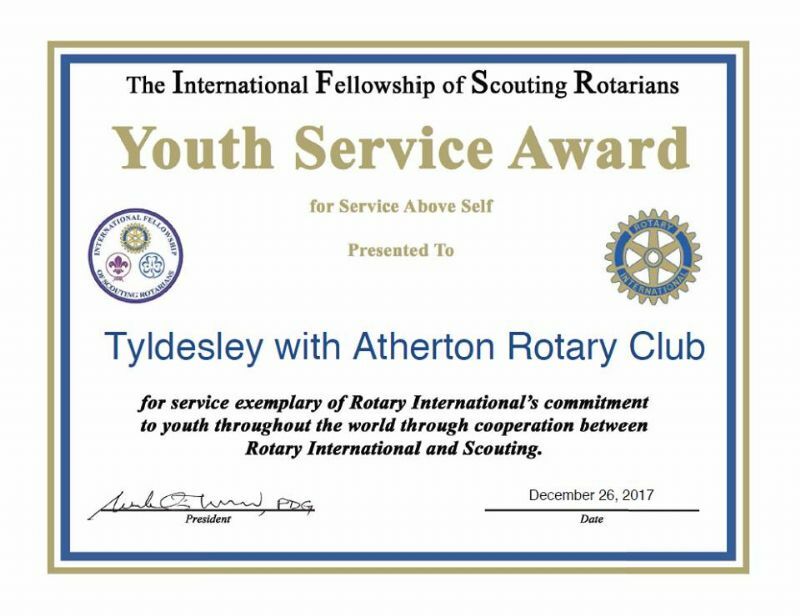 The Rotary Club of Tyldesley with Atherton has been granted the IFSR Youth Service Award for the recent work they've done with our local Scouting groups. The IFSR, International Fellowship of Scouting Rotarians, is a Rotary Fellowship promoting service to Youth through Scouting and Guiding. We're very proud of all of the local community groups we support and it's great to receive such a commendation from an international body and to recognise that this is an area we have excelled in. We hope we can be an example to other Rotary Clubs looking for ways to promote the Scouting movement.